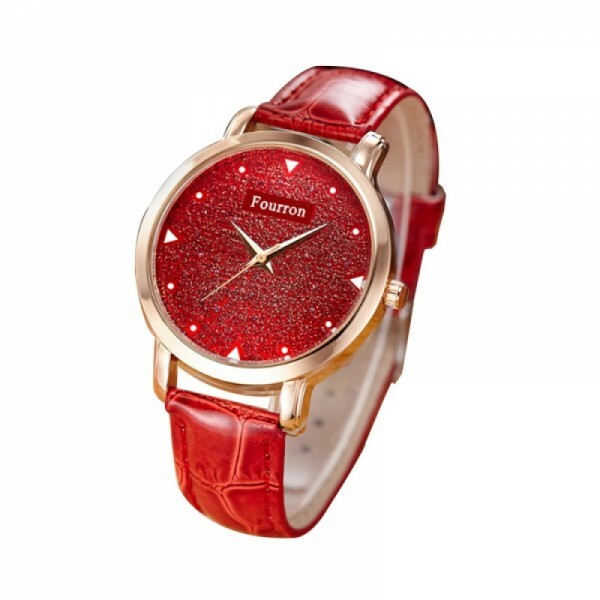 This stylish RED colored watch with golden round dial and beautiful pins. Strap made with leather. Its manufacturing is imported and might be matched with any your outfits to show your style. Case material is stainless steel. Pure golden colored with BLACK shining bracelet type strap having golden colored beed and butterfly .. This ORANGE colored analog made with PU leather, glass and stainless steel. Its a waterproof watch w.. Pure golden colored with PINK shining bracelet type strap having golden colored beed and butterfly o.. This PURPLE simple and low-cost watch is plain analog but its designing is different from traditiona..